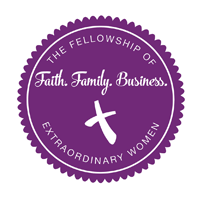 Join FEW Moms... because the greatest thing we are called to is also the hardest thing we are called to. Moms need the most support but usually get the least! If you want to be an extraordinary mom and don't want to just wing it, join FEW Moms for monthly coaching, a new vision, q&a, sanity saving strategies and laughter.. above all..laughter! $25 monthly subscription, can be cancelled anytime. *This membership subscription is for FEW Moms only and excludes all other FEW Subscription benefits. **All Inclusive FEW Membership AND Virtual FEW Membership INCLUDES FEW Moms!